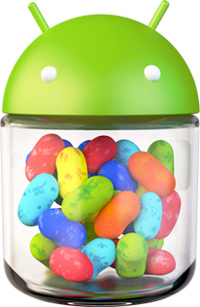 Google is bringing a host of new features to its Android 4.2 Jelly Bean operating system designed to increase productivity, creativity and peace of mind and some very promising security improvements including: client side malware protection, Security Enhanced Linux, and always-on VPN. 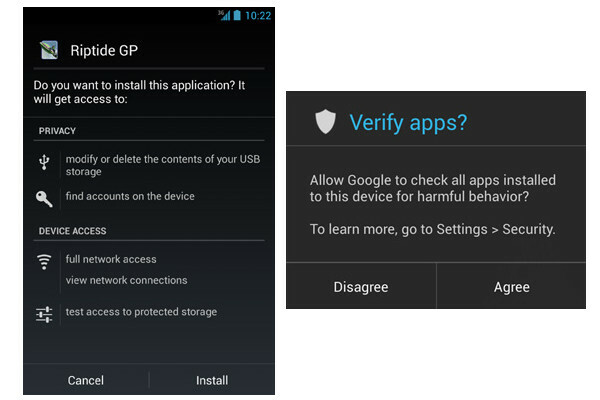 Most important Security Improvements in Android 4.2 is that it now includes a service based on Bouncer that works with all apps, not just those on Google Play. For example, it can check the apps you download on the Amazon App Store, or from 3rd Party sites. Whenever user will install any app from a different source than the official market, and will scan it for any malicious code that may prove potentially harmful for your device. Other than this, Users can now control how much data apps can access and share. This is made even more secure by something called VPN lockdown that can limit the amount of information sent over a connection that may not be secure or that is shared rather than private. Another feature included is an SMS confirmation feature that alerts users to text messages sent from their devices that they may not have written or sent. If your phone is discovered one of these, it will stop the service and then let you decide if you want to allow the action to happen or not. The app permissions screen has received a makeover, and is now providing more relevant information, along with being easier to read. Security Enhanced (SE) Linux, Android now has native support for “Security Enhanced” Linux. SELinux brings low-level improvements to Android’s Linux kernel such as: mitigation for privilege escalation attacks and stricter enforcement of least useable/application privilege. Some other new features in Android 4.2 include gesture-based typing, Photo Sphere camera and multi-user option, allowing different people to log on to the same device much like multiple user accounts on your laptop or desktop. I will demonstrate an Advance Android malware at Malcon Conference 2012 (an international malware conference) that can be configured online through a website and have 100's of features to control an Android device remotely even from a black & white mobile. Let's see how much the Malware will be able to penetrate Android 4.2 on 24th Nov 2012.